If you are a fan of awesome deals that are local to you, here is fun daily deals site to check out – LivingSocial. Save up to 90% on deals in your city – on everything from food, movies, spa treatments and more! I used to be intimidated by daily deals sites, but they really are quite simple to use. Sign up for a LivingSocial account here. Click “Buy Now” to purchase the deal. You will get an email with your voucher the next business day. Share your unique link (sent with your purchase verification email) with your friends. If 3 of them purchase the same deal, you’ll get your deal for FREE! You can also give LivingSocial vouchers as gifts! The fine print varies based on each deal – so be sure to read it for more info before making your purchase. I am thrilled that LivingSocial has given me a $125 credit to give away to one of you, so that you can try LivingSocial out for yourself! 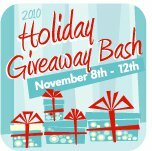 This giveaway was sponsored by LivingSocial as part of the Win Giveaways 2010 Holiday Giveaway Bash. This post was written by me and was not edited by the sponsor. Read more in my disclosure policy. Find more information on the terms for this giveaway on the Win Giveaways Facebook page. Yes. I use the daily deals sites all the time. Love them!!! Just bought a living social yesterday! I never have used one, but I have been a member of living social and groupon for a while. I guess I’m just waiting for the right deal! I like you and living social on facebook and shared with my friends! I have never used it before. There isn’t one in my area. But looking at others near me, this would be awesome to win. Just promoted your giveaway on my Facebook Page. I love getting your emails. I just started using it and have not found one that I need yet! I love daily deals sites and use them all the time! I havne’t tried out Livingsocial yet… so this would be great! I now subscribe to your email! yes, i love daily deal sites. i’ve used groupon and plumdeals. Yes! I got an amazing yoga deal and always look for more deals. I have used them before, both Living Social and Groupon. I subscribe to many of the sites but have not seen anything yet that pushes me to buy. Groupon, Plum, ect. Daily deals are awesome and I’ve gotten quite a few! I’ve used groupon and savvy source. I’m interested in tryng Living social and winning would definitely help! I have never used a daily deal site before. i have never used daily deal sites before. I haven’t used a site like social living before because it just seems too good to be true. How can they give you something for up to 90% off without a catch. There is always a catch. I’ve used Groupon before – just used my first cert today for breakfast. works great! also signed up for Fudha and living social. I’ve never used a daily deal site although I’m looking forward to seeing what comes up every day now that I signed up. I shared the great giveaways with all my facebook friends. I have looked at a number of the sites but have not purchased anything through them as of yet. I am a member of tons of these sites! Love them! I LOVE the deal sites … have bought Living Social deals a couple times!! i’ve used daily deal sites about 25 times! I’ve never used before, I’d love to try! I have purchased many deals from these daily deal sites. I love them! But they are hard to keep up with all the new ones. I just signed up for Groupon, but haven’t used it yet. I’m just starting this whole daily deal thing, too. I have used Living Social only once, but have used Groupon many many times and love them both! Tweeted about the giveaway on Twitter! I have not used one yet. I haven’t because I get nervous that I won’t use the deal I buy. Shared the giveaway with Facebook friends! I use Groupon and Circle Buzz, I’ve gotten great deals on both. I have used Groupon and Plum District. I think they are great! I am promoting your giveaways on my Facebook page. I’ve never used daily deals before because I haven’t trusted them in the past. i love daily deal sites!! I sure do – really like Groupon! I have used living social in the past! I have not ever used it because I was not familiar with its concept until now. I love the daily deal sites. I have bought things off Groupon and Living Social. I have never used this program before, but this would def be a good way to start! Thanks for the chance to win big! I have bought the daily deals on Halfdepot.com and tanga.com. I also look at groupon but haven’t purchased anything yet. I never used Living Social before. I promoted the giveaway on facebook. I use Groupon, plum and eversave. I love these sights. I have purchased several deals on Living Social and Groupon. I don’t currently use them, but have always thought about it. Wasn’t sure what it all was about, what was expected, etc. After reading about it more, it sounds great! I just purchased on daily deals for the first time today, pretty neat. I have not used living social deals yet, bc i haven’t found one i would use. but i have used groupon for the weekly cinemas movie tickets, and it was great! just used one of my tickets to see a $10.50 movie and only paid $5 for the ticket! I have used Groupon once for the GAP deal. I always check them, though, to see if there is something I could use. I have purchased from Groupon and Living Social. Yes I have…just bought a spa package! I have – I’ve used groupon, one kings lane, rue la la & plum district! I’ve ordered from Groupon and Eversave. I stay on top of the deals by reading your email newsletter! Love it! I haven’t used one yet but plan to around the upcoming holidays. Not sure why I have not used one yet. I follow several daily deals sites, and have used Groupon. I used livingsocial for the first time today. I got a great deal for Savannah! I have purchased deals like this online before – love them! I “liked” living social and stretching a buck. i have never used one, but am a member of groupon. i have purchased deals but haven’t used them yet! Would love to win this!!! I have never used daily deals but, now that I know about it I will be I use other similar sites. I use LivingSocial and Groupon all the time!! I love them! Also, i “liked” you on FB and suggested you to my firends! Just waiting for an interesting deal! Haven’t ever tried it, but I’d love to. Hope I win! Also, I subscribe to your emails. I use Groupon and Living Social all the time! They are wonderful. I subscribe to your RSS feed through google reader! I just used a living social deal yesterday and it was awesome! Introduced me to a local business that I plan to continue to use. I’ve just started using the “group buy” daily deal sites. I was too busy couponing to really check them out before now. I have used the site Groupon.com and like to see the different deals that come through everyday. There is a great variety to the deals and it’s fun to see what comes through each day. Good restaurant, spa and activity deals. I’m a great fan of daily deals sites. I love woot and groupon. I have used Groupon, LivingSocial, and Dealster. Got some great deals on food, movie tickets, oil changes, and historic tours! I love daily deals sites ~ I check several daily for great deals! I subscribe to your emails! ! I have never used the site. Just haven’t seen the right deal yet. I am a FB subscriber!! Love to get in on this one! I currently use daily deals and I love all the fun stuff my family and I can do at a fraction of the price! I’ve used a daily deals on multiple occassions. No, I have never taken the time to really read about them and see how they work. I don’t use any daily deals sites and this time. No reason really. I should check into it. I signed up for their emails anyway. I’ve never used them before, I’ve been a member of Groupon for a while though! I’m not totally sure why either lol! There just hasn’t been a perfect deal for me yet! I love daily deals sites! I’ve purchased several great deals. I have used Groupon before. I LOVE daily deal sites! My friends absolutely LOVED this many years ago, and I’ve always been curious about it! I liked this post for FB. I’ve used Groupon once, but that’s it. I use Groupon and Dealmobs. Love them! I’ve used daily deal sites a few times to get discounts on services I need. I just started using Groupon and LOVE it! I am a FB fan and told my friends about your giveaway! I’ve used Groupon and Jasmere so far! Daily deals has awesome bargains! I have used Groupon before. I love your emails!! I am a email subscriber. Great site! I’ve used a few daily deal sites. I currently subscribe to Living Social’s daily e-mails but haven’t purchased anything from them yet. I love daily deals sites and use them all the time! They’re fantastic! I subscribe to different Daily Deals newsletters. I love Living Social…gotten some good deals for Honolulu restaurants lately!!! I have used Groupon before to score a good deal on movie tickets. I subscribe to a few daily deal sites and have ordered a couple things so far. I love the daily deal sites.. They save me so much!!!!!!! I’ve purchased a few times through Groupon. The challenge is to only buy things I would’ve bought anyway – otherwise they don’t end up being frugal! I have never used LivingSocial before today because I have never heard of them before today. I use groupons and just signed up to use living social! I follow you on Twitter and tweeted this offer. I’ve already used LivingSocial a few times. I loved when they offered a half-price certificate to one of our favorite family restaurants! I use Living Social and other type deals on a regular basis. I subscribe to a couple daily deal websites and have bought a few times. There are great deals out there! I love the daily deal websites, I’ve used both Groupon and Living Social deals. I do use daily deals. I really like living social and i really like groupon. Nope never have gotten anything. didn’t know about it. Never heard of daily deals but I’m anxious to check them out. Yes, I have used LivingSocial before…. it kind of left a bad taste in my mouth, but I want to try again! I have never used the deal of the day sites because I am just learning about them, but I am intrigued. No, I’ve never used this kind daily deals. Most of the time, they aren’t ones I have money to spend on. I LOVE Groupon and Living Social. Just got a new sweater from the Gap ($50 Groupon) totally free with credits I had built up! I just signed up for your e-mail newsletter. Yes, I’ve used groupon a few times. yes, i use groupon and living social deals. They are wonderful!! I haven’t used an official daily deals site, but did buy some lightning specials from Amazon last year for Christmas. I subscribe to living social and have loved the deals in my area! Yes! Groupon and Southern Savers! I have also just subscribed to your email newsletter. I’ve used Groupon once or twice before. My favorite purchase was $2 for a $5 giftcard to Starbucks! :) I hope I win this one! I’ve used LivingSocial before to buy a 4 pack of movie tickets for $20! It was a great deal! I’m a facebook fan and shared this giveaway! I used Groupon once. I think sometimes you can roped into a “deal” and find restrictions later- I’m a bit of a skeptic. I haven’t used. I new to this. Yes, I have ordered through Groupon and Jasmere and subscibe to living social daily emails but have yet to purchase from them. I’ve never used Living Social before but would love to try it! I LOVE living social!!! This would be amazing! I have used the sites a few times and ended up with some good deals! I have used living social and groupon before. Have gotten some really good deals. I have used Groupon and LivingSocial. Love them. I love daily deals – the first thing I do each morning! I have used them and love it! I love daily deal sites. Brads Deals is one of the best! I love the deal savings websites! I just bought one for the first time last week and am so excited about it!!! I use Groupon, but it looks like I’ll have to expand my deal sites! I have never used a “Daily Deals” site before because I’m not sure how I would get the sale. Does it come in the form of a voucher? That’s why I’m so excited for this giveaway. Now I can give it a try. I have never purchased a Daily Deal from a website, but I do receive emails from Groupon and similar sites. I just used Groupon for the first time a few days ago for the Build a Bear deal! I have used several daily deal sites. It is a great way to get what you want without paying a lot for it. I have not used a national daily deal site yet. But the radio stations in our area do a similar deal on Fridays and I have done that one many times!! I love it!! I have checked out some daily deals sites but never used them before. I use Groupon all the time! I have to admit i’ve never heard of living socia, but this gift cert. is great inroduction! I use and love them! I have tried Groupon and loved it. I haven’t heard of Living Social before today but I will keep my eye out for good deals in my area. I have tried groupon before and love it can’t wait to try this one! I use Groupon, Living Social, Tippr and Scoutmob. I have used them before, but can really only use the national deals because I live in a smallish town, so it never has any deals. Does Living Social have national deals I can take advantage of or will I have to find the nearest large city? Yep! I use many daily deal sites…and I love them! I haven’t used any of them yet, but have been wanting to try some good deals on restuarants and movies. I haven’t used Daily Deals yet but I’d love to try. I’ve used Eversave one time, and it was a good experience. I’d love to try out Living Social! I have never used a Daily Deal site. I have checked them out but not sure of them so I have not bought anything on them. This would be a great way to try them out. I am a facebook fan, just learning about daily deals. Pretty fun so far! I love daily deal sites..its an addiction, but I’ve found a lot of great stuff! never used DD before, sounds neat! cant wait to start! Hey! I’ve used groupon and eversave, but haven’t purchased from Living Social yet. I want to try it out! I’m also a facebook fan and have posted about the giveaways! I have a couple sites that I go to regularly!My Bargain Buddy is one I’ve used before! Just love Living Social…had started to exercise again, just because I bought a great Jazzercise deal! I subscribe to your daily email newsletter and look forward to checking it everyday! I have not tired living social yet. Looks great! I must be tired just wrote tired for tried! I also liked this on FB! Yes, I’ve used a daily deals site for restaurants. I have not used one but am very interested in them. I just recently joined Groupon and bought my first deal. I would like to see what Living Social has to offer. I have been a subscriber of Living Social for a couple months, but haven’t yet bought one. I’ve used Groupon a few times, and I’ve even received one as a gift. I have not used one basically because when I look at local deals they are still 2 hours away. I am going to be redeeming my MASSAGE i got through a daily deal last week! Of Living Social, Groupon and Eversave….Living Social is my favorite, and yes I use it! I enjoy your email newsletters every day. I save a ton using these kinds of deal sites! Yes, I use a bunch of different daily deals sites, but Living Social deals are ones I look forward to every day! I love livingsocial! I have bought several things from them, such as dinners and movie tickets! I have not used a daily deal site before. They are new to me, I am looking forward to trying them. I have purchased a couple of groupons but haven’t used livingsocial yet. Yes, I have used a daily deal site! I have never used a daily deal site. I have not used a d”Daily Deals” site because I don’t think they are really deals. I have used Groupons for the dentist and for a cheap Sunday newspaper subscription. I haven’t used them because this is the first i have heard of them! I’ve used Groupon, Eversave and our local newspaper’s deal of the day! I’ve used them a few times. Yes! I love using daily deal sites in Louisville. I haven’t used one yet, but if the right deal comes along I plan to jump on it. this would actually be great for an after holiday massage and spa day deal to relax.. I have used other daily deal sites, but have not used Living Social yet. i have purchased several living social deals. the best one was to salon lofts! I’ve used them a couple times, but not very often, because they have to be online deals since I live in the sticks, lol! I have never used the daily deal sites?? I haven’t used a “daily deals” site before. I just signed up for Living Social last week. Yes I love daily deals sites, although I have never tried this one. I would be excited to try it. I have used Groupon a few times. We use the Dallas Groupon occasionally, and did the national Gap one. i have used groupon before and loved the “groupon:” i picked up $100 picaboo gift card for $25!! I used to get emails from Groupon, but I never used it because they never had much of anything I wanted. I tweeted about it on the twitter site. I’ve purchased a Groupon but have not tried living social. I’ve used Groupon before and I love the site. I check about 5 daily deals sites everyday! I am a HUGE groupon fan, and have scored a great deal through Plum District, too. I have never because the deals are gone before I hear of them! I’ve bought movie tickets from Groupon before. I’ve never used a daily deal site. I’m not opposed to the idea, I’ve just never seen a deal that I need to have at that exact moment and can justify the expense. I subscribe to several daily deal sites, so I’m sure at some point I will see something I just HAVE to get. I’ve used groupon and kgb deals and loved it. I love daily deals sites! i have not used one yet but I keep looking everyday for what is available. I haven’t but, I am open to it. I have not used a daily deals site before…but I am going to start since I have been seeing tons of people really saving big money! i subscribe and like on facebook. i have used groupon before. i love the great deals. I have used Groupon several times but just made my first Living Social purchase this past week. Have not used it. Waiting for the right deal. I have used daily deal sites before. I really like them! I have not used a deal site before and I really don’t know why I haven’t! I need to start using them! Yes, I’ve used several of the daily deal sites. Love them and love the new living social trips! I love the daily deals sites! I think I have used all of them at least once, and I have used Groupon several times. Thanks! I like to use Groupon. Would love to explore others as well. Thanks! I’ve bought lots of Groupon deals! They’re great! Never used one. Always afraid it’s a scam! I have used daily deals…I haven’t gotten some bargains! Definitely. I think I get at least 4 different ones each day.